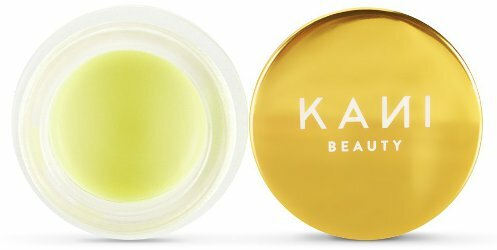 From Kani Beauty, Matcha Kiss Lip Balm: "Our Green Tea + Lemon lip balm soothes lips with Shea Butter, leaving behind a smooth, matte finish. Lips stay moist and protected while lemon gives breath long-lasting freshness." There is also an even more tempting rose + grapefruit version, and a vanilla + mint. 10 ml each for $16 at Kani Botanicals. Cheap summer thrills, of the fruity variety, from World Market. 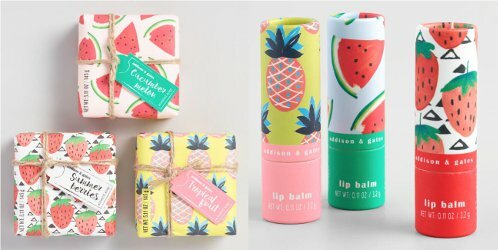 A&G soaps, and lip balms, in Cucumber Melon, Summer Berries or Tropical Fruits. Soaps are $11.98 for two 150g bars, lip balms are $6.99 each for 3.2g. "Stewart & Claire's first foray into color. These balms are made with organic coconut and sunflower seed oils and have a subtle rose scent. Use each balm individually or mix them together to create your own custom color! Each one is named for a place where they would all love to be drinking rosé right now." With Rosé in Provence (frosty pink), Rosé in Montauk (millennial pink) and Rosé in Palm Springs (fuchsia-tinted rosé), $24 at Beautyhabit. 10% of sales goes to She Should Run. From Rebels Refinery, lip balm in a plastic pineapple. 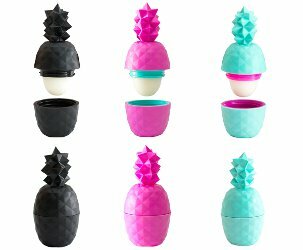 "Function meets design with the Rebel Rose geometric pineapple shaped lip balm. The highest quality coconut and sweet almond oils moisten, nourish and protect while Vitamin E provides essential antioxidants. Each one’s flavour is called “Exotic Fruit” which tastes like a symphony of mango and strawberry." Ulta has the pink one for $5.99 (or, if you prefer, mint lip balm in a black plastic skull). 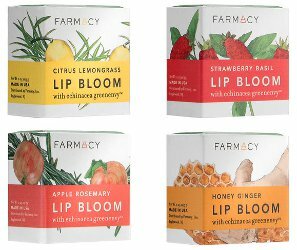 More options for the coming lip balm season: Farmacy's Lip Bloom. 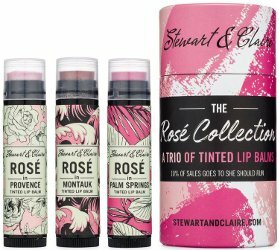 "Pucker up to these soothing, herb-infused lip balms with gorgeous gloss! Lip Blooms replenish moisture and form a protective barrier on the lips, leaving them smoother, softer and fuller." In Citrus Lemongrass, Strawberry Basil, Apple Rosemary and Honey Ginger, marked down to $12 for 7g, at Farmacy.